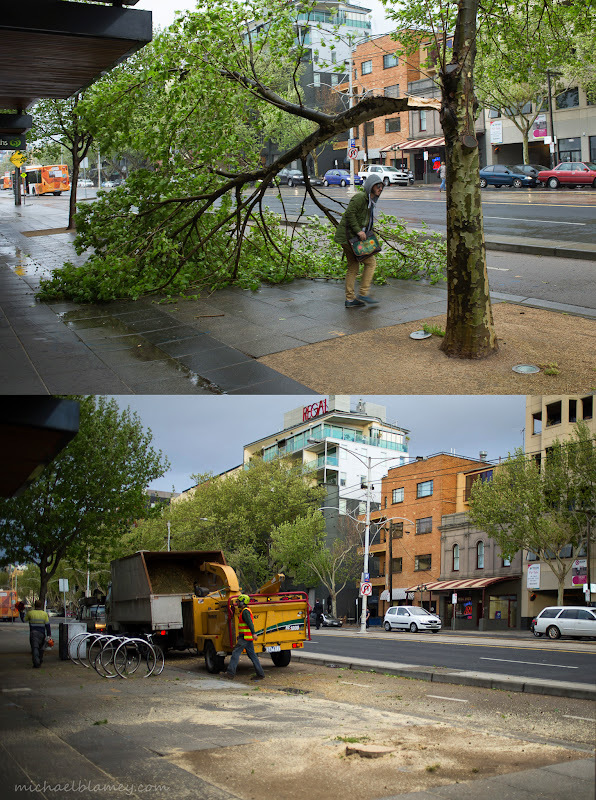 St Kilda Today: Branch down - tree down　— at Fitzroy Street - St Kilda. Branch down - tree down　— at Fitzroy Street - St Kilda. And then the tree down.